We all know that email marketing is a valuable tool in and of the fact that it keeps your business at the forefront of your clients’ attention. However, email marketing must be done properly, or else, you will risk missing out on a valuable opportunity. If you want to increase the effectiveness of your email marketing campaign, you might want to try a little known technique called segmenting. In its most basic definition, segmenting could be described as breaking your email list down into different groups of clients. In doing so, you will be able to email these groups separately with content that is hyper relevant to what they are seeking. At Webati, many of our clients have seen significant spikes in their conversion rates and sales when we have utilized this technique on their behalf. this mistake is easily avoidable. The majority of email service providers are going to record the IP addresses of those who opt in for your email marketing campaign. Since IP addresses are derived from physical locations, you will be able to specify a geographic location in which to send your emails. As a result, only the individuals on your email list with relevant IP addressed will be included in this promotion. A person who subscribes to Netflix is regularly going to receive emails informing them as to when new episodes and seasons of their favorite television shows and new movies are made available. These are targeted email messages that are an effective method of promotion. Netflix targets their emails to their clients based upon their previous activities. In a similar fashion, email marketing is going to enable you to track the movements of your clients, which will allow you to target emails towards them that are based upon their interests. This is going to increase the relevance of your emails to your clients. Ask your clients what their preferences are. Ask what their favorite products are. Ask them how often they prefer to have emails from your business. Integrate your email marketing campaign with your site’s online shopping cart service. In doing so, you will be able to send them targeted emails based upon what it is they buy. Additionally, you will be able to recommend similar products to them. If you are having difficulty segmenting your clients, try sending short surveys in your emails, and then the subscribers can be segmented based upon their input answers. On occasion, email subscribers will stop responding to messages sent by your company. This can be due to a number of reasons, from becoming too busy to becoming less interested than when they originally signed up for your emails. In targeting inactive customers, you will be able to separate the busy ones from the uninterested ones. 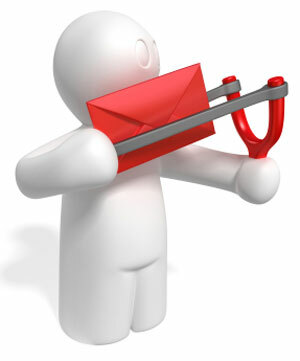 This is going to result in a more profitable email list for your business. For example, you will be able to remove clients from your list that do not even bother to open your email. Targeting your email marketing efforts is going to make them more relevant to your clients and more irresistible to those you are trying to reach. This is going to result in higher conversion rates and more profits for your company.